As central bankers meet at the annual IMF-World Bank summit in Bali on October 12, one issue high on the agenda will be addressing losses from natural disasters. 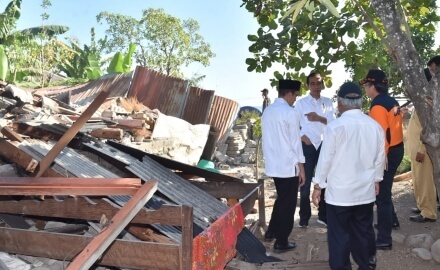 According to Indonesian finance minister Mulyani Indrawati the meeting will discuss Indonesia’s recent experiences with natural disasters, including on the islands of Lombok and Sulawesi, which were recently hit by multiple earthquakes and a devastating tsunami. Indrawati said on YouTube this week it will be one of the important events at the conference. The minister said the event could lead to disaster-prone countries trading ideas to find solutions to disaster management and financing. Thousands have been killed and hundreds of homes have been destroyed in Indonesia so far this year as a result of natural disasters; the country sits on the notorious ring of fire.